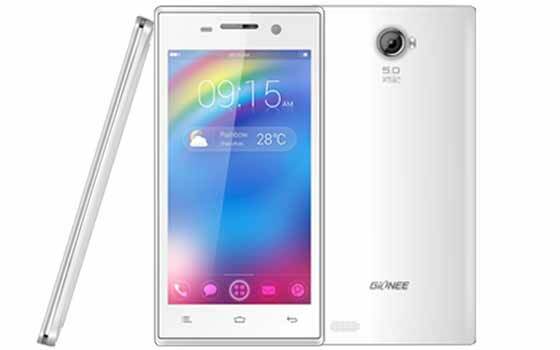 The Gionee Ctrl V4 is the latest addition to the manufacturer’s list of quad core smartphones in India and keeping in mind the current struggle to survive in the market, it is quite comprehensible to see the handset fall in the sub-Rs 10,000 price category. By the looks of it, the device should be going up against the likes of the Xolo Q700 and the Lava Iris 458q amongst a number of others in the country. As mentioned above, the Jelly Bean-fueled smartphone’s acme is its quad core Cortex A7 chipset which has been engineered to pace at a speed of 1.2GHz. Seen keeping the processor some company under the hood, is a PowerVR Series 5XT GPU, integrated into the Gionee Ctrl V4 with an intention to endorse a rich viewing experience across a capacitive touchscreen estate of 4.5 inches. The manufacturer has emphasized that the Gionee Ctrl V4 bears a 5MP camera which has been lodged on to its rear panel and puts forth features such as auto focus, LED flash and an option to record videos at 720p resolution. Stepping forward to permit live face-to-face conversations over Wi-Fi and 3G is a 0.3MP snapper seated on the phone’s face. Over and above an inbuilt hoarding capacity of 4GB, the Gionee Ctrl V4 embraces an expansion slot which can support a microSD card of up to 32GB capacity. If we were to eject the onboard 1,800mAh battery from its place beneath the flip side, we would find it concealing two SIM card slots. 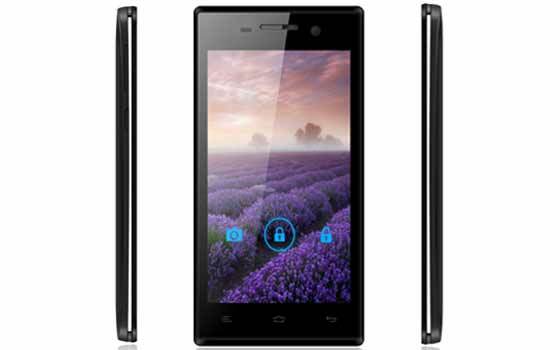 Drenched in hues of black and white, the Ctrl V4 can now be purchased for a price of Rs 9,999.